Webster is a “Gabapentin Kitty” – Why We Love Gabapentin For Fearful Cats! Webster is a very cute 9-year-old DSH cat belonging to Sault Ste. Marie Animal Clinic Veterinary Assistant, Cindy. Even though ‘Mom’ works here, Webster, like quite a few other kitties, is not really a big fan of coming to see us. In fact, Webster used to make his feelings about us quite well known – unfortunately making visits to us stressful and unpleasant for himself (and everyone involved!). The last couple of visits, Cindy has given Webster a dose of Gabapentin at home a couple of hours prior to his visit. Gabapentin has multiple uses in veterinary medicine (pain relief, seizure control) but one useful effect is that it has been found to reduce anxiety in cats! * While even with Gabapentin, Webster may still not have been exactly thrilled to be here – he was ‘OK’ with it. Along with the gabapentin, we used fear free handling techniques and pheromone sprays. He was much less stressed and much easier to examine- letting us perform a more thorough physical exam. We were even able to draw blood samples for his Geriatric Health Screen with out too much fuss! If your cat is a regular client of Sault Ste. 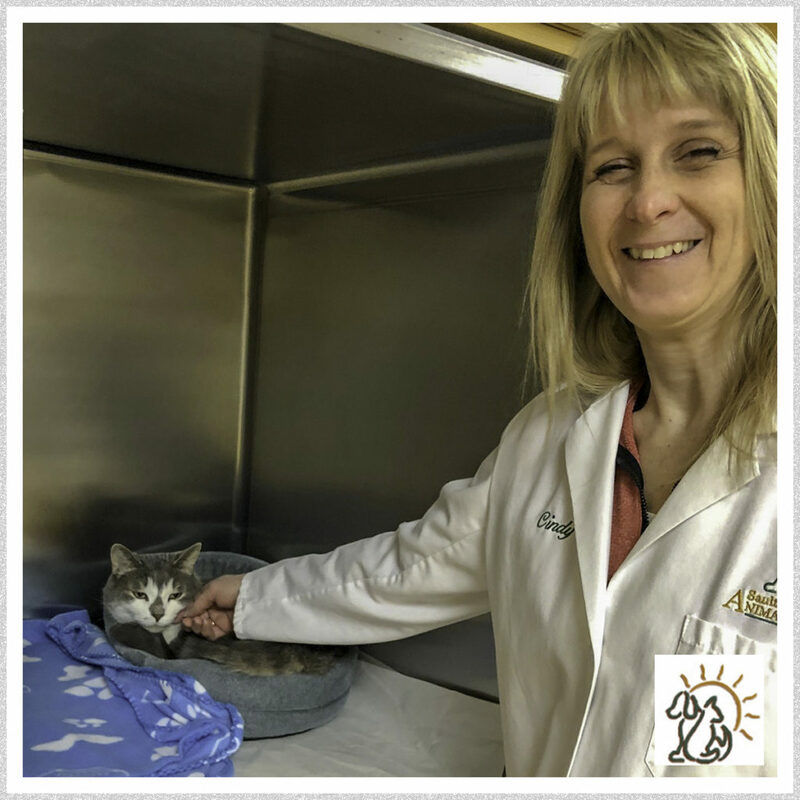 Marie Animal Clinic and gets stressed by coming to see us, ask us if they are a candidate for Gabapentin before their next visit. Fear Free – The Way To Be!